A few summers back, I wandered into my local Barnes & Noble. I was hoping to interview with a literary agent the next week and wanted to read one of the books she represented. While looking for that one, I stopped the display for Carlos Ruiz Zafon’s The Angel’s Game.With a title like that, I couldn’t not pick it up and skim the back. Like a slow poison, the history of the place seeps into his bones as he struggles with an impossible love. Close to despair, David receives a letter from a reclusive French editor, Andreas Corelli, who makes him the offer of a lifetime. He is to write a book unlike anything that has ever existed–a book with the power to change hearts and minds. In return, he will receive a fortune, and perhaps more. But as David begins the work, he realizes that there is a connection between his haunting book and the shadows that surround his home. I was hooked. I wanted to buy the book right then. Then I noticed The Shadow of the Wind on the table beside it. That one was in paperback while the other was in hardcover. I set down The Angel’s Game and picked up The Shadow of the Wind. In case you’re wondering, I also bought the book I game in for which was title, Something Missing (also good, might do a review in the future). The book sat on my shelf for awhile. It wasn’t until Christmas that I started it. And I fell in love. At this date, I’ve read The Shadow of the Wind and The Angel’s Game. I own The Prince of the Mist, but I haven’t read it yet. Zafon has utterly captivated me. I simply cannot believe only three of his books are available in English. Simply put, his work is fantastic. Every time I’ve recommended his novels, I’ve scored a hit. Zafon has a lurid and lush writing style. He composes sentences that twist and fold in upon themselves like the shadowy streets of his romantic Barcelona. Zafon plans to write a four-book series that involve the mysterious place called The Cemetery of Forgotten Books. Literature is involved at every level in his work. From this secret library sort of place to the readers who delve in its works to the bookseller and his son to the young author, Zafon paints the world of the bibliophile with love. And Barcelona is the perfect backdrop for it all. Beyond Paris and London, it is one of those cities infused with the romanticism of the nineteenth century. One of my friends said his work was very cinematic. This is true, but it’s not cinematic in the Hollywood blockbuster sort of style. The Barcelona Zafon creates for the readers is as vivid and colorful as a reel of film. Although this is an author spotlight, I’m going to briefly comment on the two novels I’ve read. Both are considered to be for adults. His previous works, including The Prince of the Mist and his untranslated works, are geared towards young adults. 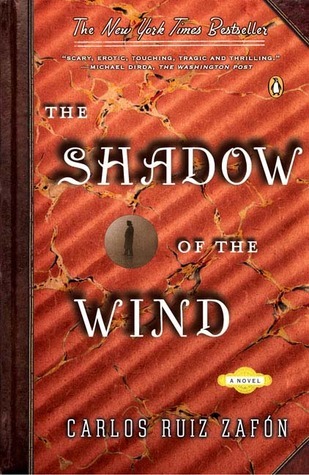 Of the two novels, I enjoyed The Shadow of the Wind a little more. The Angel’s Game is dark and twisted, much more so than the preceding book. 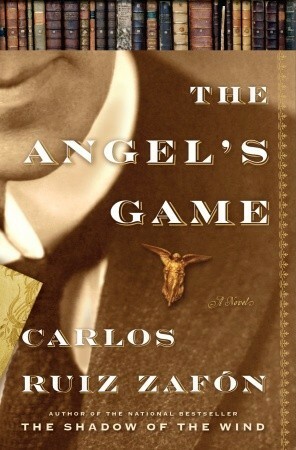 While both books deal in the currencies of sadness, regret, and memory, The Angel’s Game provides little respite from those hard-hitting overtones. However, I would easily recommend both books. If I could read Spanish, I would definitely read it in the native language! The book is beautiful in english, but it must be even more so in Spanish. Kind of like reading 100 Hundred Years of Solitude in Spanish vs. English. I’ve only read Shadow of the Wind, but I absolutely adore that book. And like you, every time I recommend it, I score a hit. I wish I could read in Spanish so I could read everything he’s ever written, but I suppose now I’ll start with Angel’s Game & Prince of Mist! Very good blog! Do you have any tips for aspiring writers? I’m planning to start my own blog sokn but I’m a little lost on everything. WordPress is a great platform! I’ve used blogspot and wordpress and like wordpress so much better. You can always buy your own domain and a paid theme at some point down the road to really customize it.